This is about far more than a few ball fields. This is about the health, well-being, and quality of life of every man, woman, and child that calls Terrebonne Parish home. Terrebonne Parish's recreational system is currently the subject of much debate as it has grown into a large, government bureaucracy that does not meet the modern needs of all citizens. This "system" consists of 11 taxing districts (which build and maintain facilities) and TPR (which runs programs). Over the last decade, the "system" has received over $100 million in revenues. Where is our return on that investment? The goal of Rec Reform for Terrebonne is to reorganize our system. TPR should have a new organizational structure and better serve the public. Rec District boundaries need to make more sense for our shifting population and neighbors should not be paying wildly different tax rates for the same thing. Smart growth needs to be implemented to ensure our facilities are cared for within our fiscal means. It's time...far beyond time...to re-create recreation in Terrebonne. Let's drain the recreational swamp and do more with what we send our government. The people of Terrebonne deserve better. Join us and let's just say "NO!" to the status quo! Sign Up To Join The Team! It all starts with knowing how the system works. The BCSP isn't simply a travel ball park. It offers something for our whole community. See the Master Plan here. There has been plenty of media attention regarding recreation issues. Catch up here. We have a dysfunctional, inefficient system which has created imbalances with facilities and tax rates. Bayou community recreational needs differ from more densely populated areas. Bayou Country Sports Park (and Airbase Park, if funded) need a different organizational structure and dedicated local funding. TPR needs to be restructured to service the modern needs of citizens of all ages and areas. Better organization and/or tighter fiscal oversight are needed to ensure public trust is not violated. 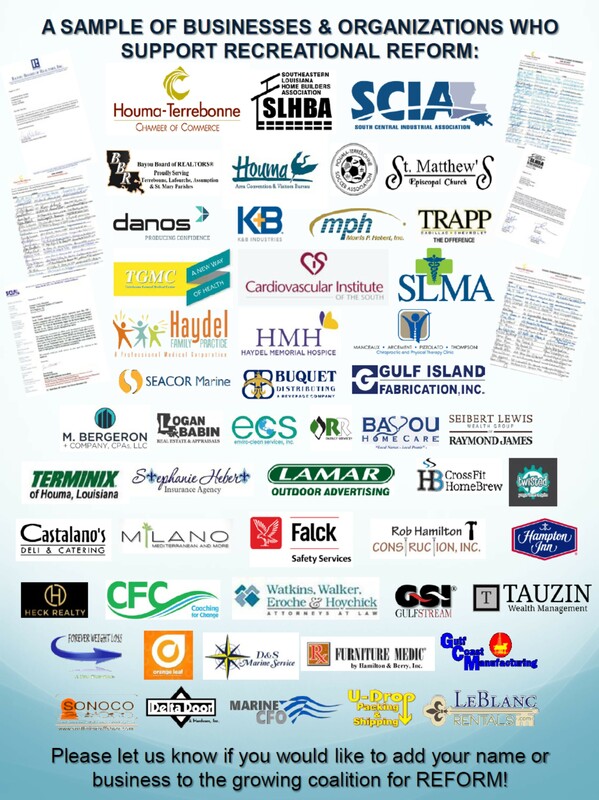 Led by findings and presentations by the Houma-Terrebonne Chamber of Commerce, a coalition for recreational reform grew. Both corporations and individuals recognized the need for changes to the structure of our "system". Concerns for the financial future of the system, unbalanced taxes and facility quality, people's health and well-being, and a desire for a better quality of life were motivations listed for the support. While many organizational changes are currently being investigated and are welcomed, the financial structure of the "system" (millages and revenue imbalance) has yet to be addressed. Louisiana residents are currently experiencing the ramifications of previous political decisions to "kick the can" on hard decisions regarding our budget and taxes. Locally, we will one day face a similar fiscal cliff unless we have the fortitude to be smarter and learn to live within our means. Placing our recreational system on solid financial footing allows for more potential monies for the critical needs of the school system, levee protection, police and fire protection, and other Parish infrastructure. We cannot simply demand that Baton Rouge and Washington politics change without looking in the mirror locally and doing what we can at home. It's time to drain our own bureaucratic swamp and just say "no" to the status quo.